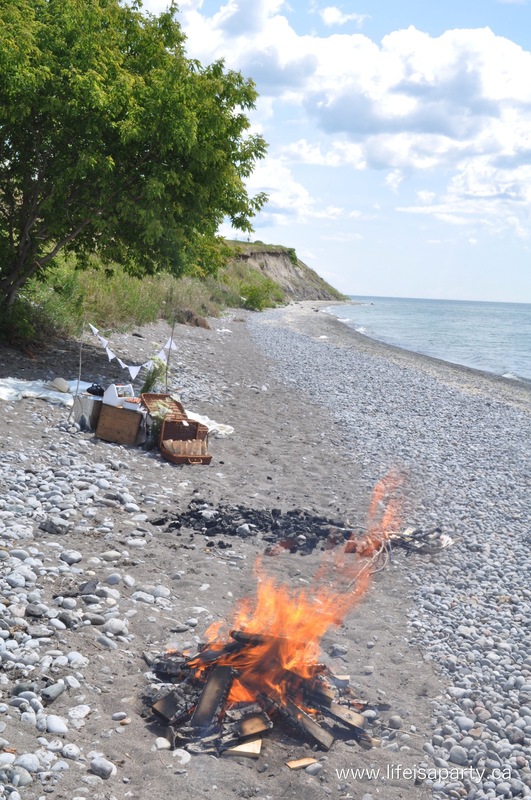 Tis the season for camping, and campfire recipes! 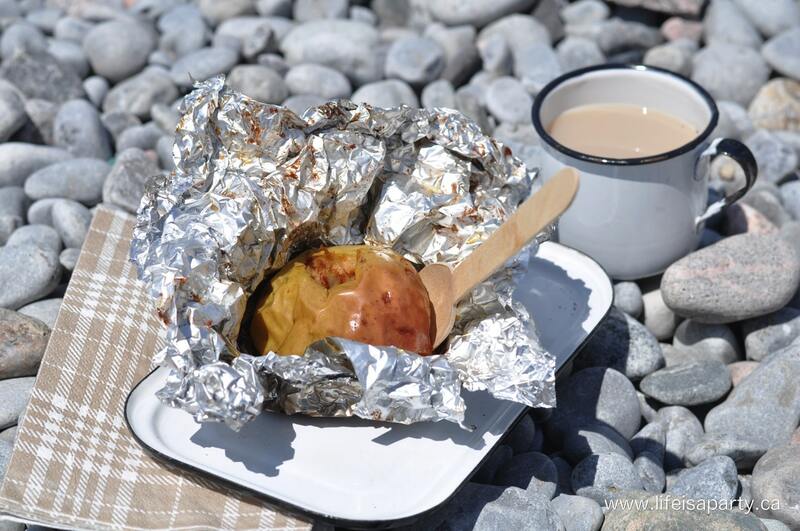 These Campfire Baked Apples are the perfect treat for campfire cookouts. They’re easy to make, and so good. They’re a simple treat, and easy to put together at home before you go, or at a campsite since they have just a few ingredients. I made them for our Summer Beach Campfire Picnic, and they were the perfect sweet ending to our cookout meal on the beach. 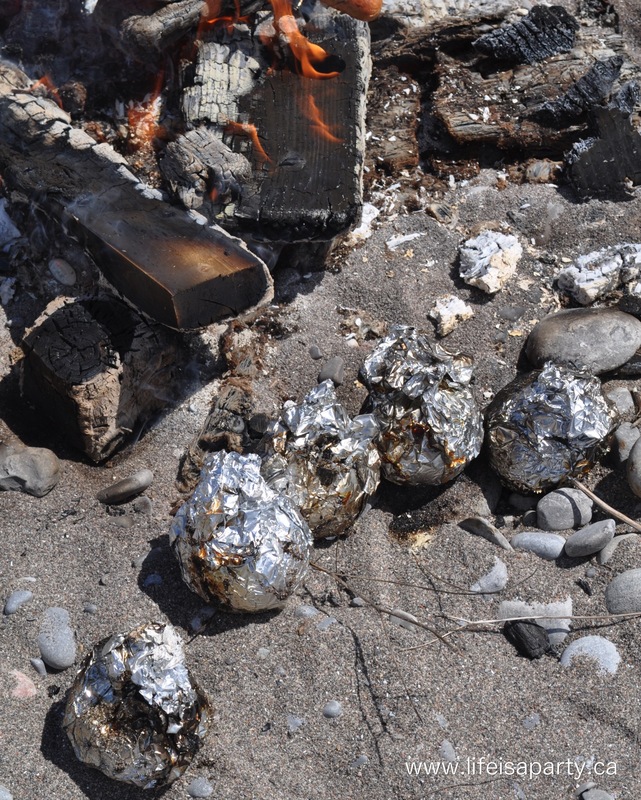 Once our campfire burned down a little I tossed the prepared apples into the hot coals. Ours were done in about 10 -15 min. I had never made these before, but my boy scout friend said they were standard and favourite fare at camp. I made them using Gay Lea’s Spreadables Butter. Gay Lea’s Spreadables Butter really is the perfect thing to bring camping. I’m a huge butter fan, but normally it’s a real pain when camping. You can’t leave it out at room temperature because it might melt in the sun and make a mess, or attract animals. When you store regular butter in the cooler, it’s really hard to spread when you need it, since it’s hard. Gay Lea’s Spreadables are the perfect solution, real butter taste, handy storage container with a lid, and always spreadable. Gay Lea’s Spreadables Butter takes traditional creamery butter and adds unsaturated canola oil to make it spreadable right out of the cooler…or fridge. Perfect. Core an apple with a sharp knife, removing all the core. Tear a square of tinfoil, and spread with about a 1 tsp of Gay Lea's Spreadables Butter. 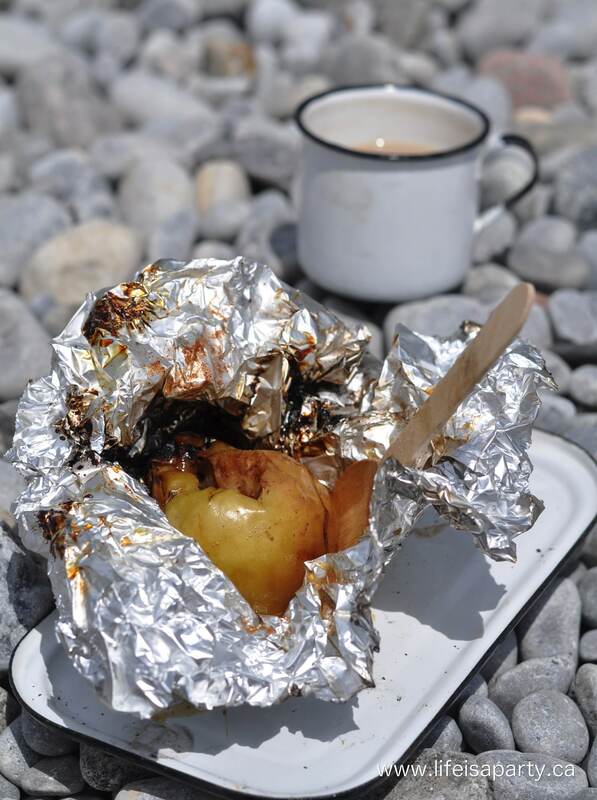 Place apple in the middle of the buttered tinfoil. Combine brown sugar and cinnamon. Place about 1/2 tsp Gay Lea's Spreadables Butter in the apple core, and then add the cinnamon sugar mixture. Top with 1/2 tsp more Gay Lea's Spreadables Butter. 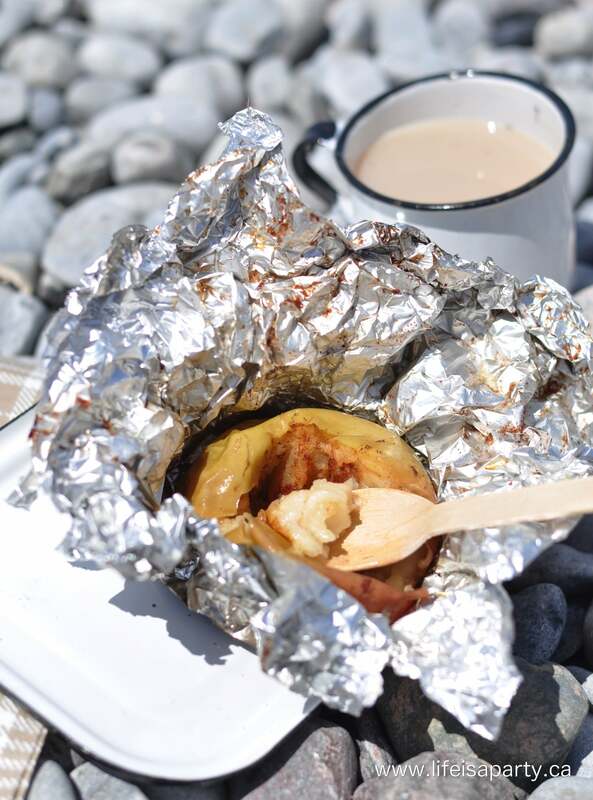 Wrap the apple up tightly in the tinfoil. Take care when opening the apple as it will be very hot, and juicy. Enjoy! When the apples are ready, they’re soft and sweet and a little bit like warm, delicious apple sauce. 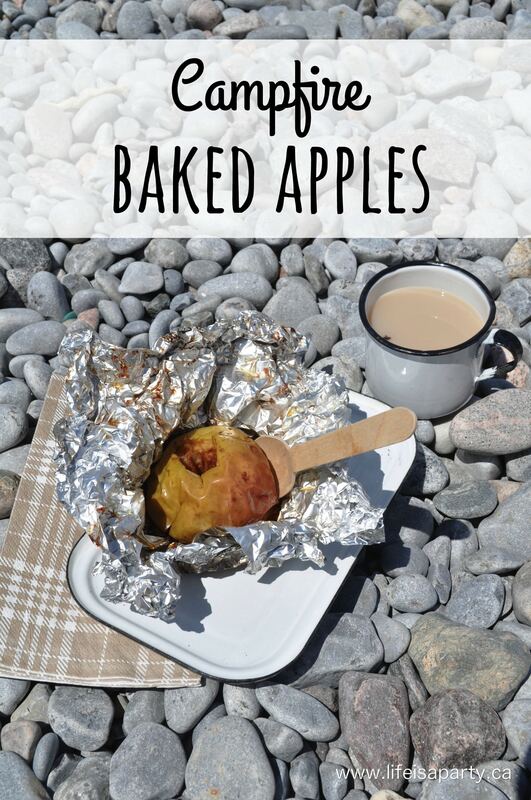 If you’re not camping, you can enjoy the yummy apples at home by roasting them on your bbq, or in your oven. If you make them at home, serve them with some vanilla ice cream for a real treat. 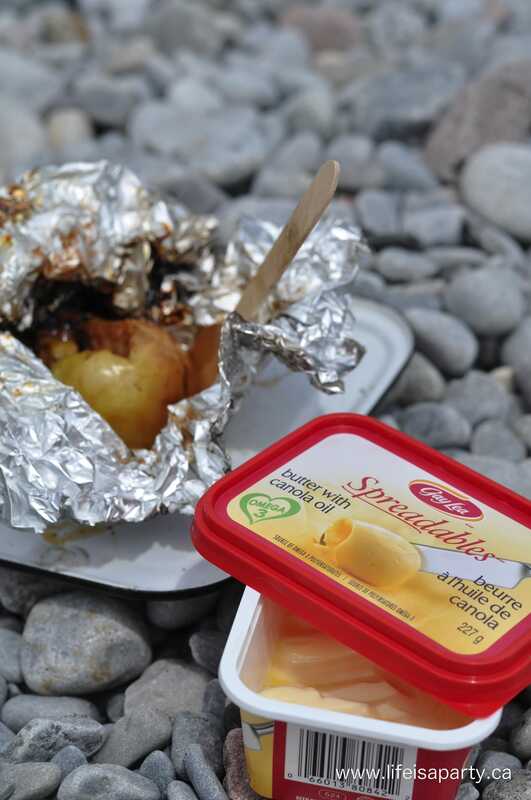 With Campfire Baked Apples, life really is a party!